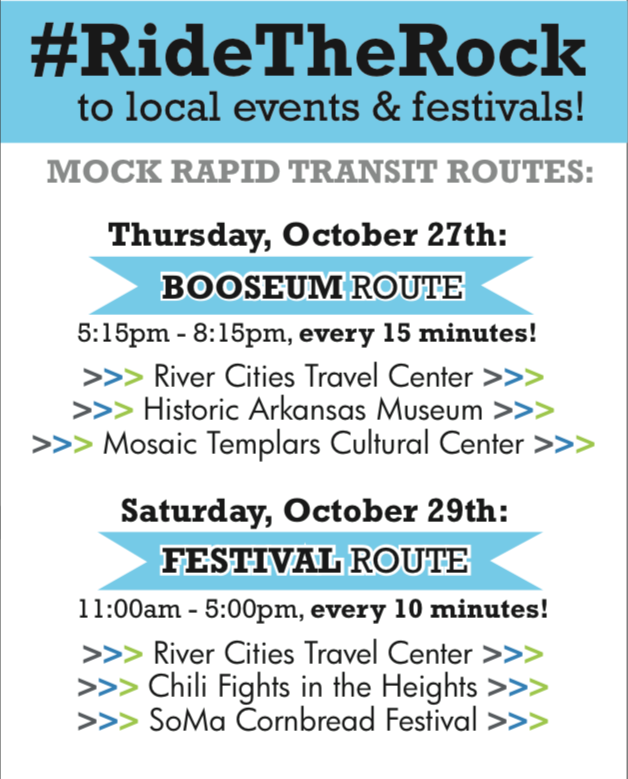 PopUp in the Rock is an annual joint project between Create Little Rock and studioMAIN, a nonprofit design collective. 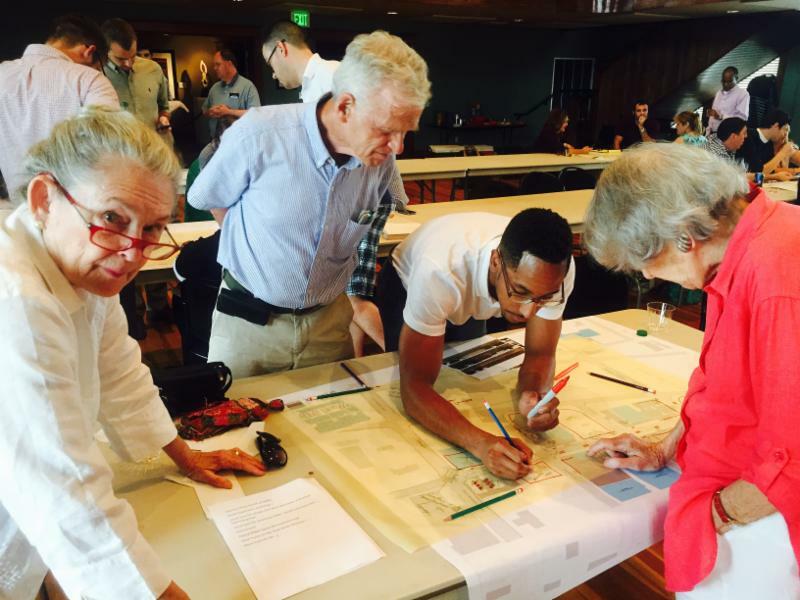 It is part of a national movement known as the Better Block Project. It isn’t a street fair or a block party; rather, it’s a temporary urban demonstration – a live rendering – of what is possible. It exhibits important elements of the city, such as multiple transportation options and an active street edge, and provides activities that create community. 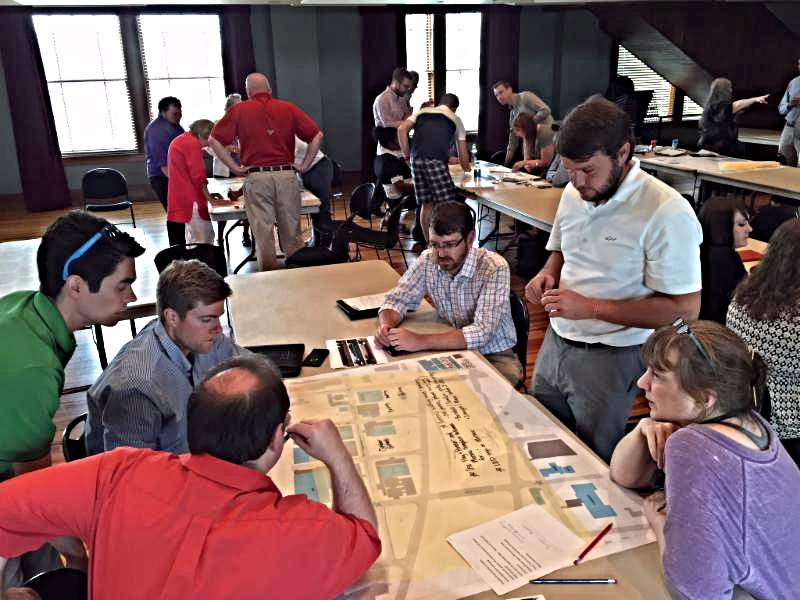 This group of young professionals engages with community members to determine specific needs and institute changes such as bike lanes, pop-up shops, dining pop-ups, and entertainment. 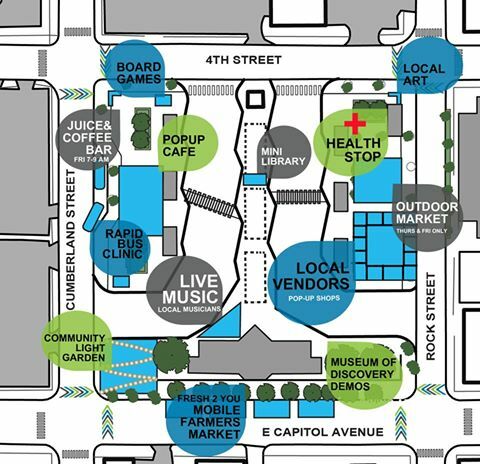 By transforming just a few blocks into a thriving, complete locale, PopUp in the Rock exemplifies the idea that developing potential, even block-by-block, can make our city better. To be added to the PopUp email list, just send an email to popupintherock@gmail.com. Our 2018 PopUp in the Rock site has been selected by the PopUp committee – we’ll be taking over parts of Markham Street at Kavanaugh in the historic Stifft Station neighborhood! Named for what was a very busy streetcar stop in the early 1900’s on the old trolley line, the Stifft Station neighborhood once served as Little Rock’s far western edge. Today, it’s a vibrant, eclectic, and diverse area that’s just in need of some of our trademark PopUp treatments such as street improvements, a more vibrant and pedestrian-friendly street edge, and popup shops. We’re getting close to the kickoff of this year’s PopUp! We’ll start on June 16th with lane restructuring over a 10-block stretch between Pine and Woodrow. Then, on Saturday, June 23rd, we’ll host a full day of activities including a variety of popup shops, live music, and food trucks along Markham Street at Kavanaugh. 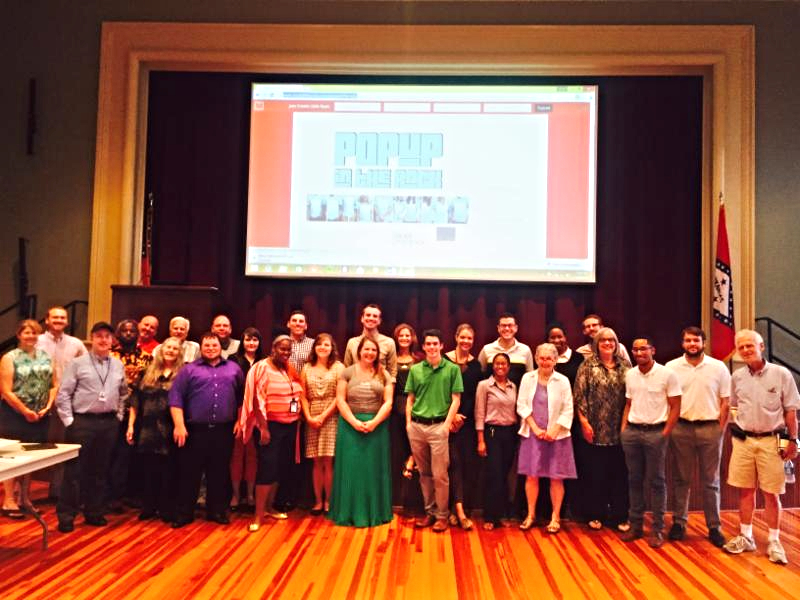 The PopUp committee is meeting regularly, so if you’d like to to get involved with the effort, email PopUp co-chairman Brandon Bibby. The goal of PopUp Stifft Station will be to knit together the neighborhoods of Capitol View/Stifft Station to the south of Markham Street and Hillcrest to the north at the commercial intersection of Markham and Kavanaugh. 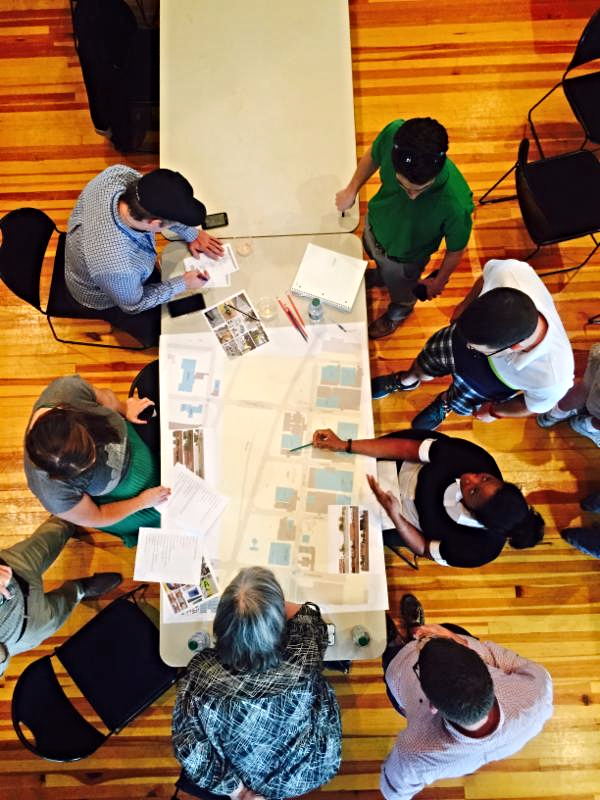 This year’s plan will consist of a 4 week economic impact demonstration that will bring temporary tenants to vacant storefronts while testing new road patterns to make a safer and more inviting environment for pedestrians. The 2017 PopUp project was like none we’ve done before – instead of lasting for a day or weekend, it lasted for 2 months! We converted a parking lot into a community space with a stage, seating, shade structures, a dog pool, and space for vendors. 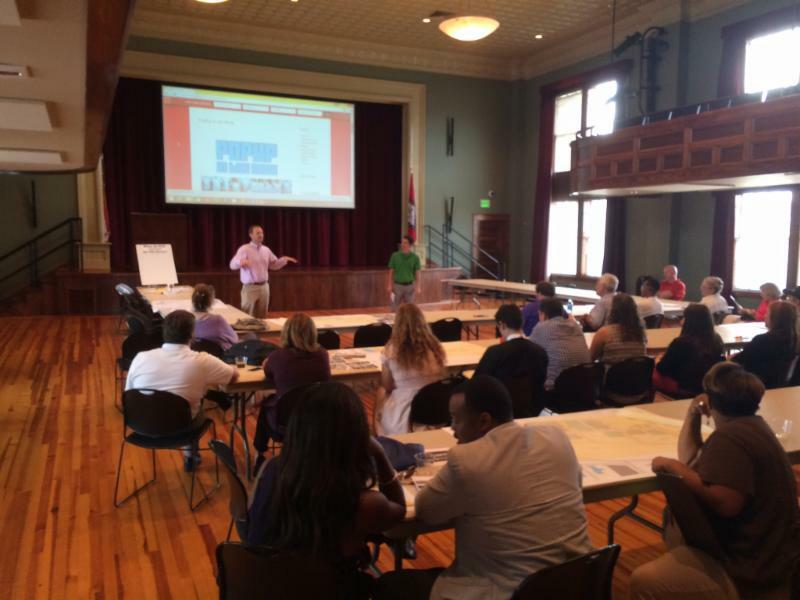 It was located in North Little Rock’s downtown Argenta neighborhood between 4th Street and the Argenta Branch Library. Our big reveal was on Friday, July 21st, during the monthly Argenta Art Walk. 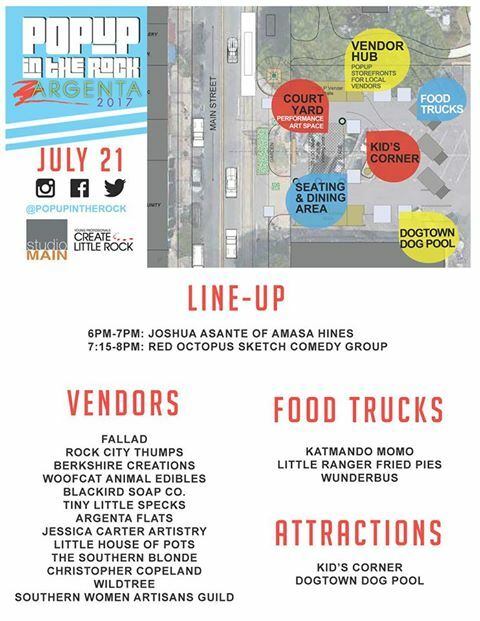 We’ll featured live performances on the stage (including Joshua Asante of Amasa Hines), food trucks, Etsy vendors, and artists. This space remained open for public use for 2 months after the July 21st launch. 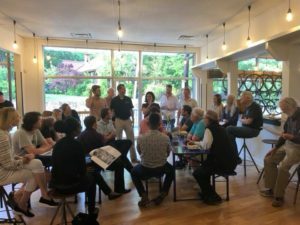 The PopUp team also hosted events in the space for the Argenta Art Walks in August and September on the 3rd Friday of each month. Additionally, the site was host to the weekly farmers market and other community events. 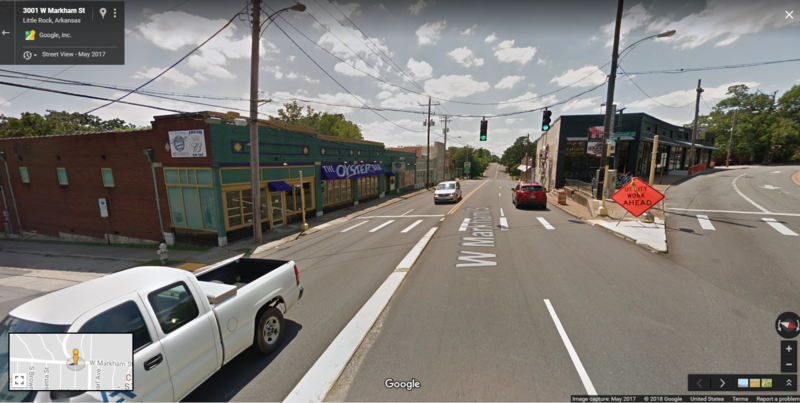 The 2015 PopUp took place on October 24th along West Ninth Street in Little Rock between Broadway at the historic Mosaic Templars Cultural Center and State St at the Dreamland Ballroom/Flag & Banner building.